Bromo Midnight Tour 12 Hour – Bromo Tour From Surabaya or Malang Without Stay Overnight At The Hotel In Bromo,Bromo Tour Package organized directly from Surabaya or Malang started on 12am to visit Mt. Bromo one day one night, Visit to Bromo from Surabaya or Malang started on the mid-night from your hotel,airport,train station or other place in Surabaya.Tour program which appropriate for you who don’t have much time but still allows to visit bromo mountain. 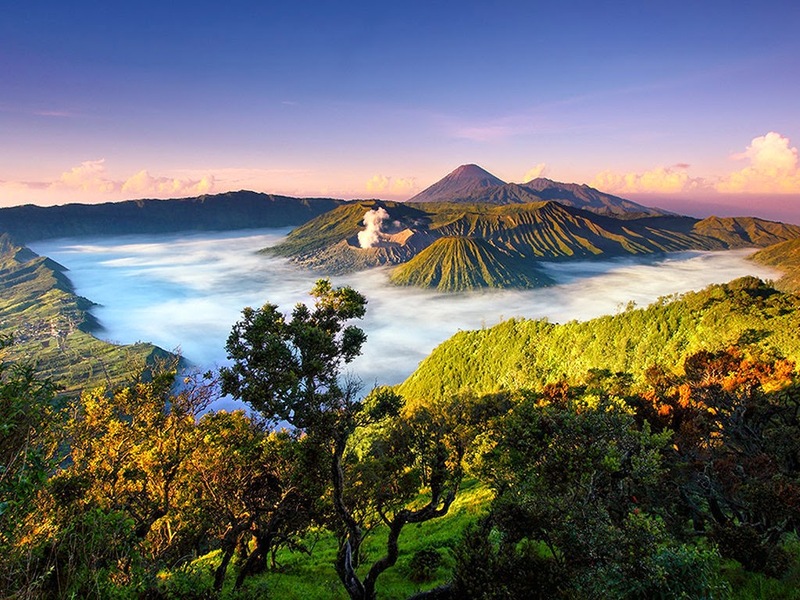 Sunrise tour package depart from Surabaya or Malang at night to be on Mount Bromo just in time for sunrise. A straight road to visit Bromo and on the way at the same time see the breathtaking waterfall, Madakaripura near Bromo. See the itinerary : Mount Bromo Madakaripura Waterfall 2 Days 1 Night. Bromo Midnight Tour Package 12 H is a travel package to visit tourist attraction in the region bromo tengger semeru include to view the sunrise in bromo and mount bromo crater. bromo tour package without stay, one day one night duration 12 Hrs. Bromo Midnight Tour start at 23.00 from Surabaya or Malang Airport,Hotel,Train Station or other place in Surabaya or Malang City. After finish, drive down to Bromo Crater through the Sea of Sand. Finished enjoy the Bromo Tour , we return to the jeep parking area, and then drive back to the jeep post in Cemara Lawang Village. Transfer back to Surabaya or Malang City. 3. Local Tour guide (optional). 4. Jeep 4×4 to climb up to Penanjakan Peak and sea of sand. Bromo Midnight Tour Package 12 H From Surabaya or Malang City Center, the best choice for those who is not lot of time to still be able to visit to mount bromo from surabaya or Malang (airport,hotel,train station) only one day a night tour to mount bromo without stayed in hotel bromo, starting and end trip in surabaya or malang in same day.